Built of high carbon steel for extra strength and better working action of the teeth. Double reach bars, as well as cross braces, add even more strength to the section. This helps prevent side-play and hold the tooth bars in alignment even under the toughest conditions. With our six position lever assembly, changing tooth pitch is easy. 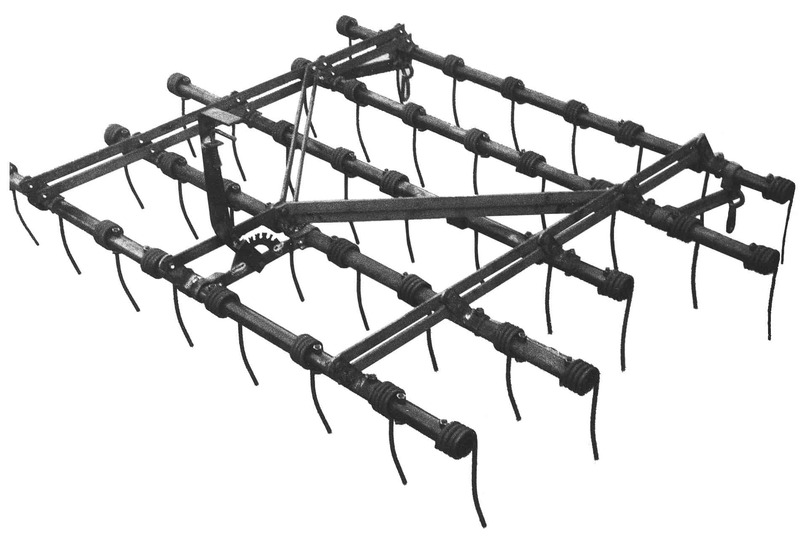 This allows you to easily find the tooth angle best suited to your soil and crop conditions. CSL and CCSL tooth bars are spaced farther apart than regular harrows to ensure that they always pull level. Heavy duty 3/8” x 11” curved teeth are available. (CCSL Series); These teeth are more of a tillage based tooth as they are more aggressive. The other option is a 3/8” x 10” straight tooth (CSL Series); which will shed more trash than a curved tooth and are a little less aggressive.